Let's travel back to 1930. At a small factory in La Chaux-de-Fonds, some of the world's finest hand-wound chronograph movements are assembled and fitted into their proper cases. This factory is the home base to a rapidly-growing, but relatively young, Swiss watch company called Movado. Movado's competitors are Longines, Omega, Eberhard, just to name a few. Traditional details such as stepped bezels, calatrava-shaped cases, and Breguet numerals are not uncommon. Though these watches are now quite inexpensive and frequent, a niche market will emerge for them more than 80 years from now with prices sometimes exceeding $10,000 plus. the museum watch. from the early stages of Movado's transition to modern designs. So what I just told you may be difficult to fathom, considering the majority of Movado's current production is made up of contemporary pieces with mostly quartz movements. In fact, there is an existing "niche" market and, back in the day, Movado created some incredible watches. Here is an awesome chronograph from Movado that is both well-made and isn't too costly. There are certain things that really grab my attention when it comes to watches, one of which is oversized chronographs. This particular timepiece is an oversized wristwatch with massive registers and a nicely-patinated white dial. Deep blue elongated hands, stick hour markers, and an outer track adorn the dial. 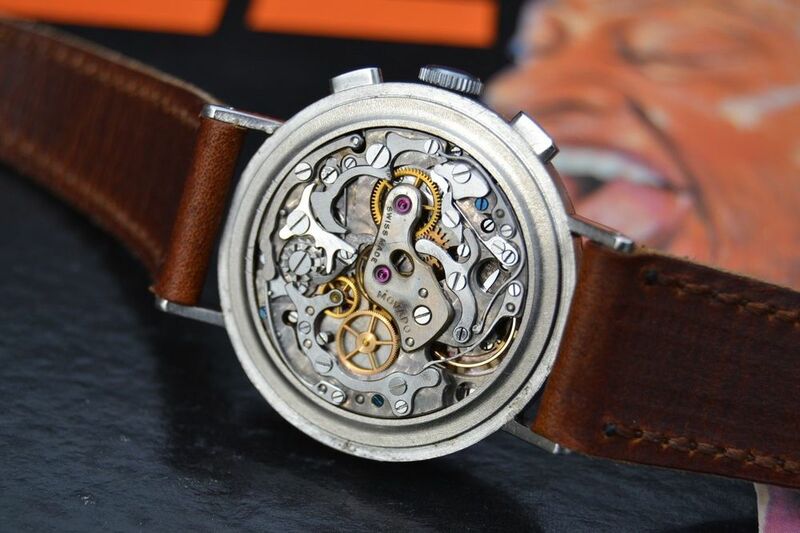 This watch is powered by a caliber M90 in-house mechanical movement cased in its original steel case. Something to note: This Movado is listed on eBay and is offered by one of my favorite eBay sellers, vintagetimelovers. Vintagetimelovers has had a longtime presence on eBay, dealing with plenty under-the-radar type vintage watches. 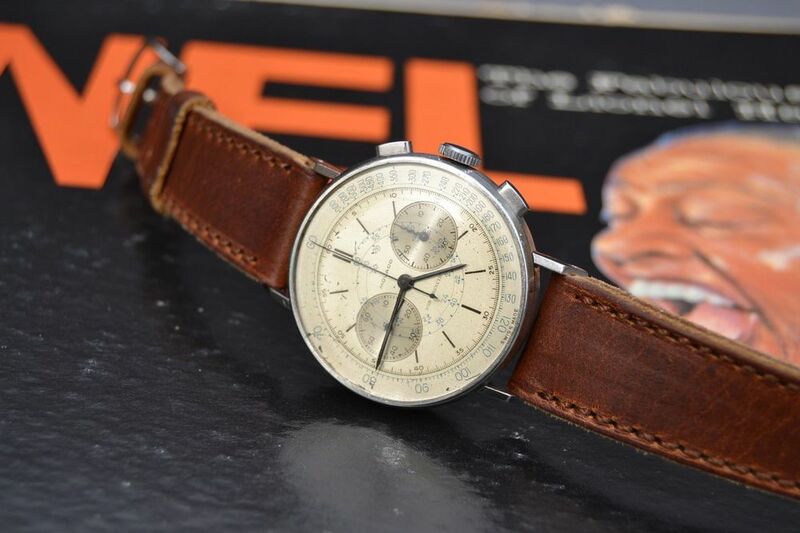 They also have an excellent inventory of chronographs from Universal Geneve and Longines. Scroll down for more photos and exact pricing. Price: $3,450 or best offer. Click HERE to view the listing.